Before we get into the article, let me preface this by saying that we understand how tech articles can get a quite confusing (and maybe a little boring) with all the jargon and technicalities involved. So, we’ve decided to write this in a manner that’s as straight forward as possible to help you, the end user, understand more about SiteGround SuperCacher (Note: SiteGround is the best webhosting here in Bitcatcha.) and optimizing your site without all the confusing tech talk. You know how you some people optimize their work desks or kitchens by keeping their most used tools in easy to reach or convenient locations to create a faster workflow? It saves data in your RAM so that the next time you visit the same website, it pulls information from the saved data in your memory, optimizing the process of displaying your site, allowing you to get to where you need to go and see what you need to see much faster than usual. How does caching affect us? Most of the sites that we visit on a daily basis optimizes their site with caching, but we’ve all gotten so used to it we don’t even know it’s there. For example, go ahead and open up a new tab, then load up your favourite site. It probably loads up in less than 5 seconds, and that’s all thanks to all the cached data. Now imagine if we’ve got to wait more than 12 seconds to load up a page. It’s a minor inconvenience, but in this age of instant gratification it is a LONG time. The average user expects a site to completely load up in less than 2 seconds. 3 seconds, and they’ll think it’s too slow. Anything more than 4? People will most likely just lose interest and move on to a new site. Speed is so vital for online stores that if online shopping giants like Amazon would have their site slowed down by just 1 second, they’d lose approximately USD116,000 per minute! Now think about how much potential sales you’ve lost due to lack of speed. Food for thought eh? Siteground’s SuperCacher claims to significantly boost site loading times by 4x. It also increases the number of hits your site can handle up to a whopping 100 times, using 3 different caching methods to optimize your site, which are all easy enough to apply. The different caching options work differently to optimize different kinds of sites, so let’s have an in-depth look at the options to help you decide which is best for you! Is the perfect all-rounder for all sorts of sites. Your content will be delivered much faster and will provide visitors a seamless experience when browsing through your site, due to the superior loading times from the RAM compared to SSD. Static cache also flushes and renews your data automatically every 3 hours, so if any changes are made to your site, they’ll be automatically updated without any hassle. Enabling Dynamic Cache automatically enables static cache. Works hand-in-hand with Static Cache. Just like its name suggests, Dynamic Cache basically creates multiple copies of your site’s Dynamic content. The data is then stored on the server’s RAM, and it works hand-in-hand with Static Cache. The first person to visit a newly flushed site with Dynamic Cache will load the site’s entire content from the server database, but all subsequent visitors will have their data loaded from the server’s RAM, which is much faster. When it comes to Flushing your data, you’ll have to do it manually. It’s actually quite easy to do but it’s one more step to take when updating your site. Works with WordPress, Magento, Mediawiki, Drupal, and Joomla! Memcache is actually Siteground’s own take on the famed Memcache system, built to handle websites that rely heavily on database queries. It works by storing data and objects in Siteground server’s RAM, speeding up database requests, API requests, and page rendering. Long story short, the information sent from the RAM will be used to fulfil database calls, reducing the number of times the actual database is being queried. If you run an online store, Memcache may be the best option for you. Once you enable the service, a new Memcache process will be spawned which you can control in Cpanel. We actually hosted our test site with SiteGround on their GrowBig plan, testing for speed with Static Cache, Dynamic Cache and Memcache enabled. The results as expected, are phenomenal. For our test site hosted on SiteGround’s Singapore datacenter, we used GTmetrix to measure the loading speed. We set our testing server region to Vancouver, Canada and the browser to Chrome. The setting remains the same for both tests, with and without SuperCacher switched on. With SuperCacher switched on, the test site loads in 1.8 seconds; the same site loads in 3 seconds without. That is a 40% difference! *P/S: With SiteGround’s proven speed and reliability, we host this website, bitcatcha.com on SiteGround Cloud too! * SuperCacher is available for SiteGround GrowBig plan and above. ** Read our in-depth review on SiteGround hosting. Turning on SuperCacher for your site is actually quite easy. All you have to do is to make sure you have installed the correct plugins for your system (Siteground has a tutorial for you) go to your Cpanel -> SuperCacher, and turn on your desired caching option! Step 2: Enable different caching with a flip of switch. 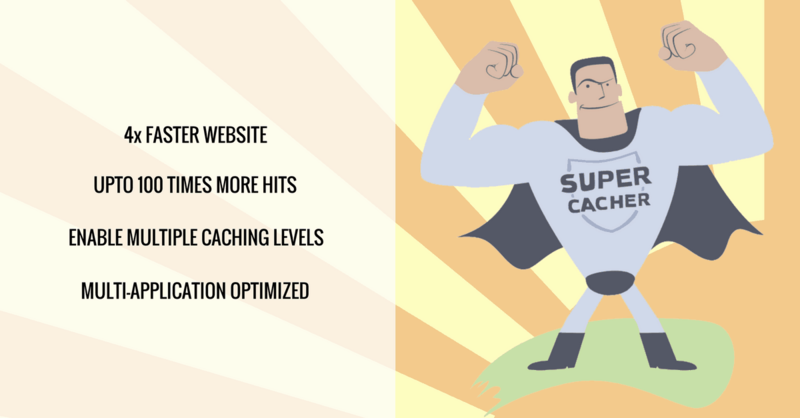 After looking at the performance upgrades and massive speed boosts using SuperCacher, I feel that every business owner should enable it for their sites. Online shoppers are a fickle bunch, and if you can’t cater to their needs quick enough, they’re going to forget about you and take their cash somewhere else. Earlier, I mentioned that giants like Amazon stands to lose USD116,000 per minute if their site is slowed just by a second. While we can’t exactly quantify how much more in sales you’ll be making with SiteGround SuperCacher enabled, we can at least confidently say that you’ll more likely to have more return customers if your site is speedy, reliable and can handle the pressure – and that’s exactly what SiteGround’s SuperCacher is built for. So go ahead and enable SuperCacher for your site right now. It doesn’t cost you anything extra, but you’ll have everything to benefit from it. * To learn more about SitGround, read our complete SiteGround review.